Geraniums provide summer-long blooms in the garden. These tender perennials cannot survive frost so they’re often grown as annuals or brought indoors to overwinter. Both new plants and overwintered plants benefit from pruning when you plant them out in early summer. 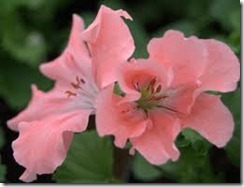 Pruning encourages bushiness and helps maintain the geranium’s shape. Overwintered geraniums are especially prone to legginess after a season of minimal sunlight. Trim the plant throughout the summer season to encourage it to bloom profusely. Cut overwintered plants back to half their height two weeks before transplanting outside. Water and provide plenty of sunlight to encourage new growth. Remove the tip of each growing stem of both overwintered and new geraniums after transplanting them to the garden in late spring. Pinch them back to the nearest leaf bud to the tip. Pinching encourages lateral growth and bushiness. Pinch the growing tips a second time at midsummer to prevent legginess. If plants have become overgrown, remove up to half their height to encourage a new flush of bushy growth. Cut off spent flowers as soon as they fade. Flower removal prevents seed formation, which encourages further blooming. Dead flowers and leaves provide bedding material for the botrytis fungus, which can then infest your plants. 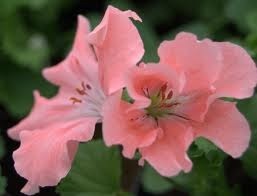 Remove pruned plant material from the geranium bed and dispose of it promptly to avoid infection.